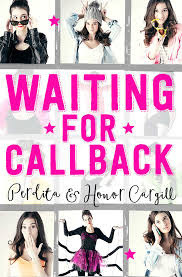 I'm a huge fan of Waiting For Callback, a fresh and funny YA contemporary novel with fabulous characters and particularly brilliant dialogue! When I decided that I wanted to bring my classics posts back for this year, I couldn't think of a better duo to ask to kick them off than mother and daughter debut authors Perdita and Honor Cargill, who are discussing one of my favourite authors, P.G. Wodehouse! I’ve always had a suspicion that part of the reason you and your dad are so in love with the P.G. 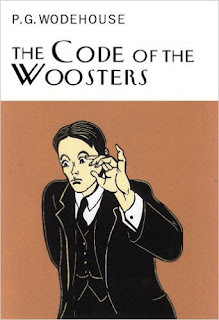 Wodehouse books is so you can speak in code and exclude me. 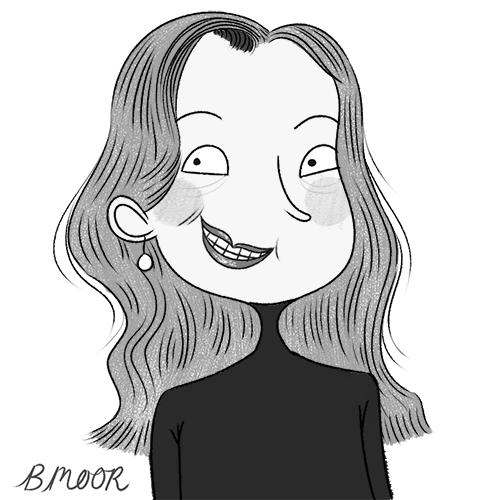 H: Er…that’s a tiny bit neurotic (but having in-jokes with someone else who loves the same books is always good fun). You’re just prejudiced against these books. You should take time to read them – I think you’d love them. How can anyone not want to read a book called ‘Aunts aren’t Gentlemen’? P: Then what is the main reason you love them? H: The language, Wodehouse was a genius with words. I am deeply in love with his similes. P: Aren’t they super dated comedies of manners about a long gone class system? H: Not really, no. There is very little direct commentary about class – it’s very much a made up world - and in any meaningful hierarchy Jeeves definitely comes out top. And if you’re going to start ruling out books on the basis that their subject matter involves the stuff of history you’re going to lose a lot of good reads… Anyway I love a good comedy of manners. It’s hard to be funny; Wodehouse was exceptionally funny. P: But aren’t the plots all the same? P: Exactly, there’s always the stock ‘disastrous girlfriend’ character. And didn’t he just keep churning them out? H: That’s not fair. His characters aren’t stock characters. There is a long list of disastrously unsuitable girlfriends but they’re unsuitable in a very different ways. 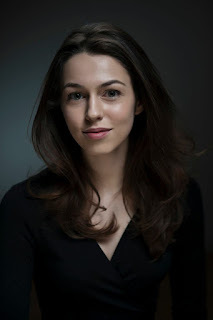 You couldn’t mix up Madeleine Bassett (‘The stars are God’s daisychain’) with Florence Craye (‘unable to see a male soul without wanting to get behind it and shove’)! Wodehouse plays on character types but develops them perfectly. And look at how brilliantly differentiated and well developed are the voices of Jeeves and Wooster. And as for ‘churning them out’ Wodehouse produced consistently funny and successful novels for decades – I think that’s the dream! Waiting for Callback is published by Simon & Schuster on 28 January 2016. If you enjoy reading classics, or if you want to read more, why not join the fantastic Classics Challenge hosted by my friend Stacey over at Pretty Books? It's a great way to find other classics lovers, discuss books, and get and give recommendations. Check out this post and don't miss the hashtag #2016ClassicsChallenge! Also keep an eye out for the Twitter chat to go with the challenge, #ChatClassics - the next one is on Saturday 16th January, TOMORROW, at 8pm GMT! Honor: I'm 17, I'm in my last year at school doing A levels and yes, weirdly, I'm co-writing funny teen books with my mum and having so much fun with it. I used to do a bit of acting (mostly school but a tiny bit professional) and although Elektra, our main character, is nothing like me, I suppose that's where the germ of the idea for Waiting for Callback came from.